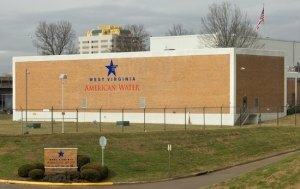 CHARLESTON W.Va. (January 27, 2014) – West Virginia American Water officials announced today that ongoing around-the-clock flushing, sampling and testing has resulted in non-detectable or extremely low levels of MCHM in samples gathered systematically through the Kanawha Valley water distribution system. Analysis of PPH in historic water samples has been underway since this second chemical was disclosed by Freedom Industries on Jan. 21. More than 2,000 water samples have been collected by the interagency response team since the Jan. 9 chemical spill in the Elk River. McIntyre further explained that scientists have worked since learning of the second chemical disclosure to determine the level of no detection for PPH and are testing down to the parts per billion level. Even at this minute detection level, only one sample out of dozens of historic samples have shown any trace of PPH, and this sample was taken on a date that all customers were already under the “Do Not Use” order. Testing for both chemicals is conducted through gas chromatography mass spectrometry, which is very effective in identifying a broad range of chemicals. According to McIntyre, these determinations come from experts at the Centers of Disease Control and the Agency for Toxic Substances and Disease Registry, with concurrence from the West Virginia Bureau for Public Health and the federal EPA. Customers are able to review water sample data on the W.Va. Division of Homeland Security and Emergency Management website at http://www.dhsem.wv.gov/Pages/WV-American-Water-Emergency.aspx. McIntyre reminds customers that as promised, the company is providing residential customers a credit of 1,000 gallons to offset the water used for flushing their home plumbing. This equates to approximately 10 days of normal water usage for the average residential customer. The credit will be clearly marked on a future bill. 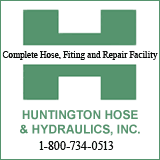 McIntyre explained that the maximum water flow through a standard residential 5/8-inch meter is 20 gallons per minute. Flushing guidelines provided by the company instructed customers to flush for a total of 25 minutes, which would use, at most, 500 gallons. The credit being offered accounts for double this amount.